When you create a favorite from an open document, the current cursor line and column along with the line hash are saved. It lets you to create reliable bookmarks that withstand file modifications. 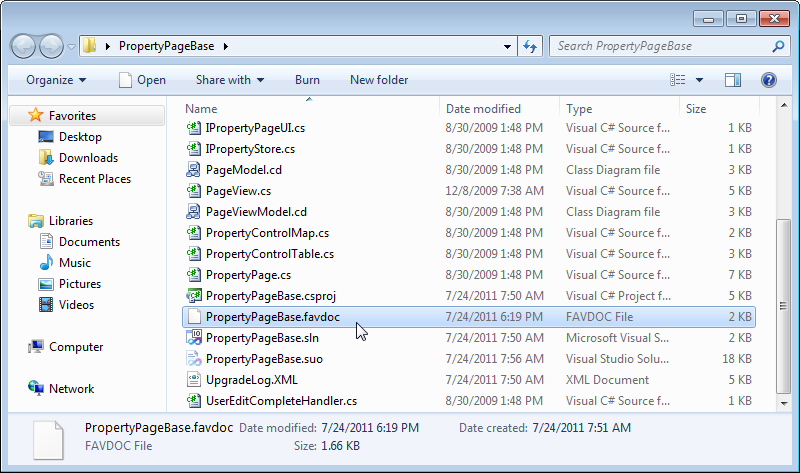 You can create links to folders, projects and other items in Solution Explorer down to class members. 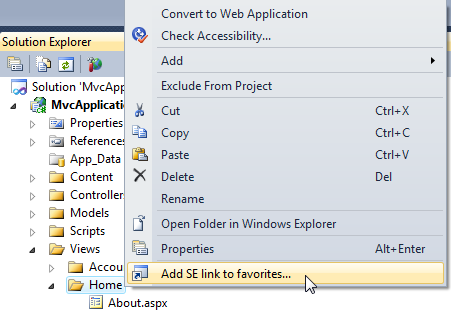 To create a Solution Explorer link, right click on an item and select Add SE link to favorites from the context menu. When you open this link later, the Solution Explorer window is activated and the item is selected. Similarly you can favorite solutions. Right click on the root node in Solution Explorer and select Add to favorites. When you open a solution favorite later, the corresponding solution is opened. To open a solution in a new Visual Studio instance, hold down the Ctrl key. 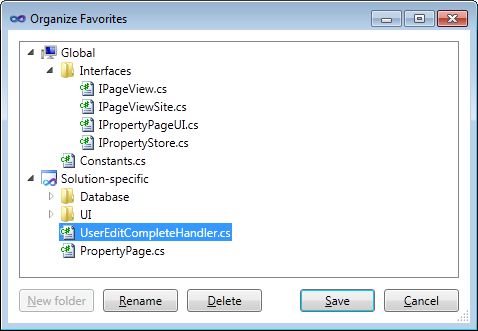 From the context menu you can also favorite the selected document in Solution Explorer without opening it first. Global links are stored in "%APPDATA%\Sergey Vlasov\Favorite Documents\1.0\global.favdoc".